The Minister for Finance and Public Expenditure and Reform, Paschal Donohoe, T.D., recently launched StudentLife Careers at Northern Trust in Dublin. With an ever-evolving jobs market and a growing certainty that artificial intelligence and other technological developments will subsume millions of existing roles, while creating many others that we don’t even know about yet, it is increasingly challenging to help students prepare for the world of work and to offer sound advice as they try to make suitable education and training choices. StudentLife Careers provides students with unprecedented access to critical insights into current roles and possible future career paths. StudentLife Careers spans a whole array of roles – from STEM-related industries to start-ups & Agri business, while enabling access to role models – all combining to build links between what students are studying in school and what their post-school futures might look like. Log on to the NAPD website and download whichever StudentLife Careers video you are interested in showing to your class. We are delighted to bring you the first seven videos today and will have a further five for you in September. – Please click on the company below to avail of the video. A new research report on the future of the Leaving Certificate was published today (Monday), January 7th, by the National Association of Principals and Deputy Principals (NAPD). The report entitled ‘Senior Cycle Reform – What do you want?’ surveys the attitudes and views of students, parents, teachers and principals on the Leaving Certificate and its’ future reform. 97% of parents want reform, compared to 65% of principals, deputy principals & teachers. 28% of principals, deputy principals & teachers, 4% of students and 15% of parents feel the Leaving Certificate is fair and accurately assesses students. “Almost 700 USI members engaged in this research project. They are currently completing the Leaving Certificate or have done so within the last five years and have very strong opinions on how the examination needs to be reformed. For a large majority they do not believe that the current system is fit for purpose or meets their needs and the challenges they face outside of education. To ensure equality for all – ringfence funding for traineeships and apprenticeships to ensure the Leaving Certificate is not largely focused on further and / or higher education. “What is important about senior cycle reform is that the conversation is starting, people recognise change is needed, and people are starting to think about practical solutions. We have seen small changes over recent years with the introduction of the new subjects such as Politics and Society or the recent two-day extension to the Leaving Certificate timetable to ease pressure on students. However, we need more than small steps. We in the NAPD want to lead the voice for change, and to ensure this critical conversation continues”, Mr. Byrne concluded. The National Association of Principals and Deputy Principals (NAPD) is the professional association for secondary level school leaders in Ireland. What happens when someone becomes the target and victim of online shaming? Why does ‘shame’ have such a traumatic impact on our consciousness? The latest episode of the Tabú series on TG4 delves into the area of ‘online shaming’ and examines the effect it can have on ordinary people. In TG4’s Tabú: Náire online influencer, blogger and presenter Ciara Ní É explores the sensitive and traumatic stories of those who have been victims of online abuse and extortion and how it has affected them. Mary O’Donnell, a beautician from Tralee, appeared on The Today Show A video of the clip went viral and received over a million views online after she had a mishap on live television while applying eyeliner to a model. In 2017 Peter Hynes, a dairy farmer from Aherla in Cork, won Farmer of the Year. He and his wife Paula joined Twitter and soon afterwards they started to receive a torrent of abuse from online vegan shamers. Dubliner Jackie Fox shares her heart-breaking story of her daughter, Nicole, who was the victim of online bullying. In January of this year, Nicole took her own life. Now Jackie is campaigning to bring in “Coco’s Law” in memory of her daughter as she wants the law to be changed to make it harassment online an offense. A range of male and female victims who have suffered from sextortion, online bullying and shaming. These poignant, and often thought-provoking, films encourage the viewer to reflect on the subject matter and consider the effects on our society. A recruitment opportunity has arisen within NAPD of a New Deputy Director (The Deputy Director will be appointed for five years on secondment) and we are currently inviting applications. Application forms and a full job description below. The position of Deputy Director of NAPD is a key leadership position in the work of the Association. (a) To provide a united voice nationally for Principals and Deputy Principals on issues of common concern. Ensuring that Principals and Deputy Principals are recognised as education partners and are represented as of right on all relevant local, regional and national bodies, both statutory and non- statutory. Ensuring that Principals and Deputy Principals are consulted on all relevant matters and, in particular, on new initiatives which impinge on their roles. Representing the views of Principals and Deputy Principals to the Department of Education and Skills and all other interested groups and relevant bodies. To show leadership in the formulation of educational policy. To promote the professional and personal development of Principals and Deputy Principals. To promote the development of adequate internal school management structures to enable the successful implementation of school policies. To provide support/advice for Principals and Deputy Principals through secretariat and administrative services. To provide appropriate and relevant training. To adopt a pro-active and dynamic approach to developing the international and European dimension in schools. To promote co-operation and reciprocal visits between members of NAPD and Principals and Deputy Principals within Ireland, Europe and the rest of the world. To encourage partnership between Principals and Deputy Principals in all second level schools. A capacity to be energised by an environment with a strong focus on policy. To implement, in consultation with the Director, Executive decisions and report back to the National Executive. To ensure that the aims and views of the Association are represented in all appropriate fora. To be available to all Committees of NAPD, including NAPD-Retired. An Independent Interview Board consisting of 3 people shall be appointed. The President of NAPD will be present as an observer. The Deputy Director will be appointed for five years on secondment. This will include a probation period of one year. John Coolahan was a great friend to NAPD. He constantly supported our conferences and symposia as well as contributing to our publications. He made an enormous contribution to Irish Education and will be sorely missed no more so than by his wife Mary and Family. 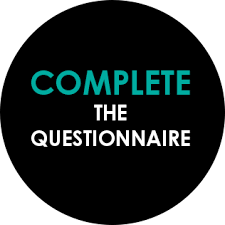 As a valued NAPD Member we would like to ask for you to complete the following Questionnaire. The National Association of Principals and Deputy Principals is the professional association for second level and further education school leaders in Ireland. NAPD is unique in that it supports the senior leadership team across all sectors at post primary level. NAPD continues to support school leaders to lead learning and teaching, to lead school development, to manage organisations and to develop leadership capacity in our schools while at the same time being dynamic, proactive and forward looking. If you have already completed this questionnaire, Thank you. We greatly appreciate you taking the time out to complete the above questionnaire. “The National Association of Principals and Deputy Principals welcome the announcement by the Minister for Education Richard Bruton TD that the number of places available on the Professional Diploma in School Leadership, will increase by 20% from September from 250 to 300 places. The importance of school leaders and posts of responsibility, and the State’s investment in same, is something which is essential for every school. Speaking at the IPPN Deputy Principals conference in Citywest today, Minister Bruton announced that he would be increasing the number of places on the Professional Diploma in School Leadership, the programme for aspiring school leaders. This government has set the ambition to make Ireland’s education and training service the best in Europe by 2026. Minister Bruton has stated numerous times that school leadership is vital to delivering on this ambition. Today’s announcement marks another significant investment by the government in supporting and encouraging leadership in our schools. In response to a huge demand, the Minister has added almost 50 extra places on to the programme, bringing this year’s intake to 300. The Diploma is designed to prepare aspiring leaders with the knowledge, skills, and confidence for senior leadership positions in schools. Speaking at the IPPN Deputy Principals conference in Citywest today, Minister Bruton said, “The biggest influence on a child in a school is the quality of their teachers and the leadership within the school. We are lucky in Ireland to have excellent leaders in our schools. If we want to be the best in Europe, we need to support these leaders and encourage and empower others to show leadership. I am committed to doing this during my time as Minister. The Professional Diploma in School Leadership (PDSL) is an innovative jointly accredited postgraduate diploma in school leadership and is delivered in partnership by the Schools of Education in the University of Limerick (UL), University College Dublin (UCD) and the National University of Ireland Galway (NUIG) with Waterford Institute of Technology (WIT). This unique partnership means that students on the programme have unique access to leading academics in school leadership across several universities nationally as well as from tutors with extensive experience in the area of educational leadership. The programme, which is NQF level 9 is delivered on a part time basis in a blended learning format (online and face to face) over 18 months. It is offered across a broad geographical spread, currently in eight centres nationally. The increased student intake will add an additional centre and serve to meet the high demand by teachers for leadership professional development. This year there were over 450 applicants and based on the programme success thus far, the intake was increased to 300 this year. During their studies, participants engage with leadership theory and practice specific to Leading Learning and Teaching in the Irish context; Professional Growth and Development; Leading School Transformation; Mentoring and Coaching; Leading School Development: Continuity, Change and Capacity Building; Building Culture, Capacity and Teams. In addition, they engage with senior leaders in business and industry as well as within the education sector in order to gain comprehensive engagement with the breadth and diversity of leadership in practice. Therefore this programme is important for aspiring school principals as it serves to enhance school leadership capacity and quality nationally.